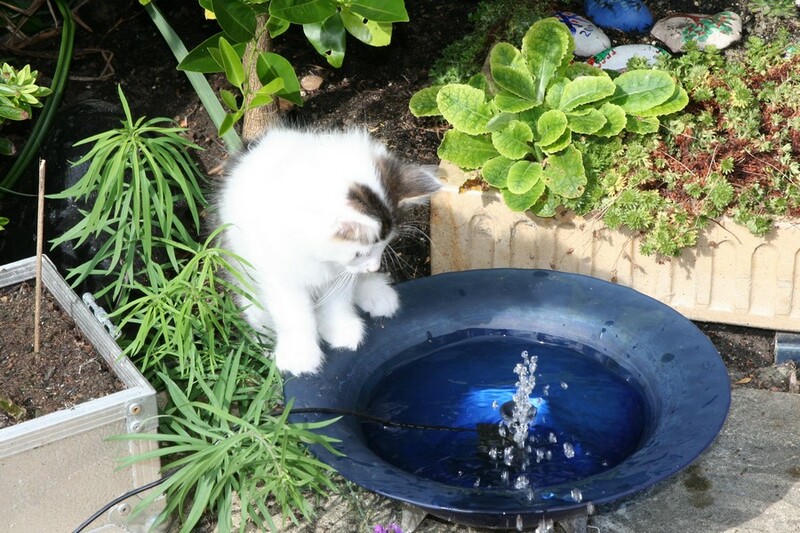 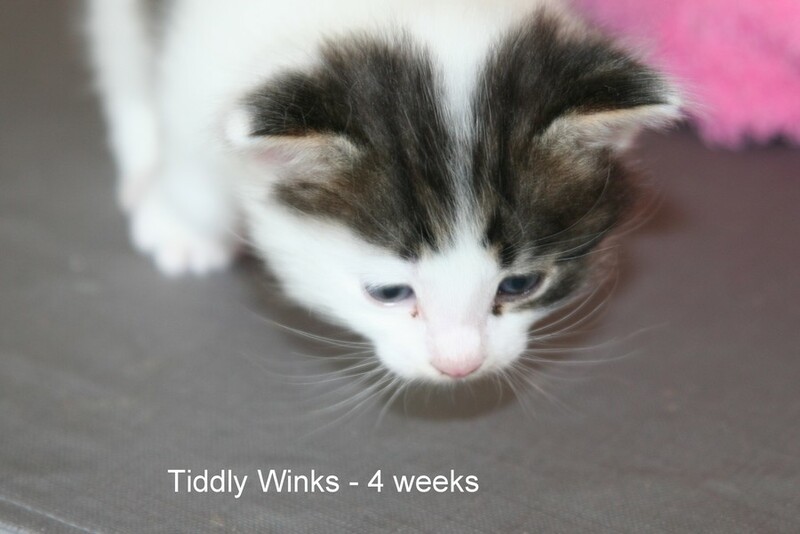 Tiddly Winks is now known as 'Jasper' and lives with another feline friend in my home town of Marlow. 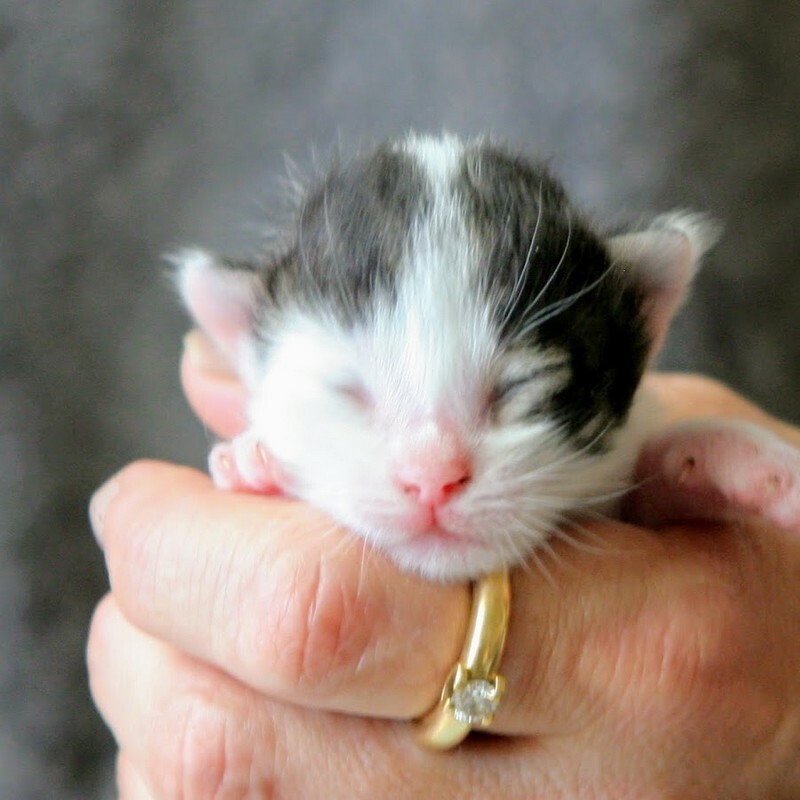 I have a special fondness for this little cat, possibly because he was the smallest/last born in the litter. 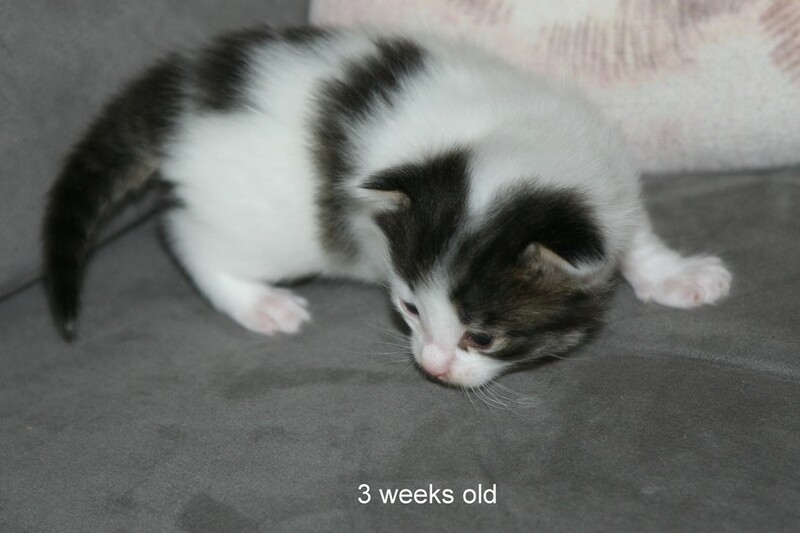 He has done great catching up with the others, but has recently had a bit of a digestive setback, but we are back on track now. 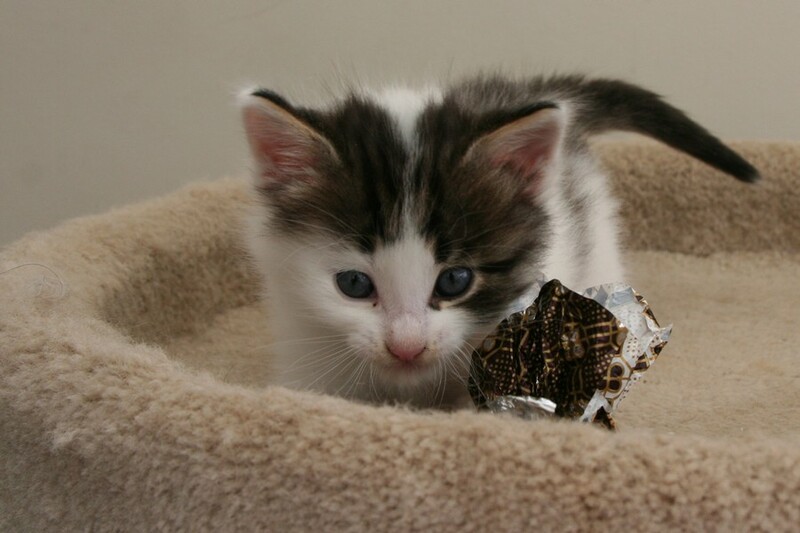 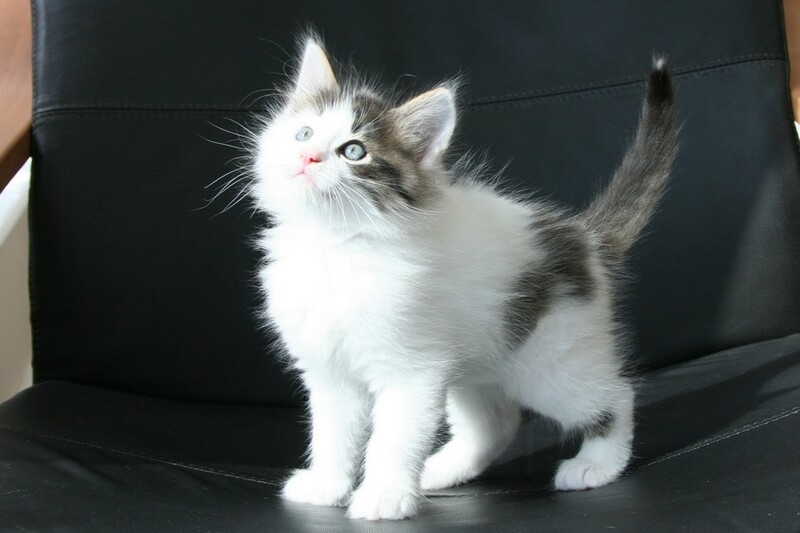 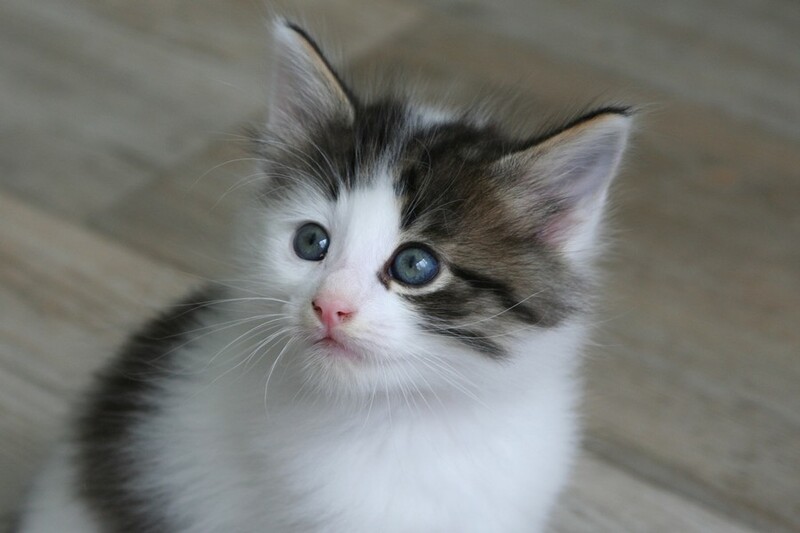 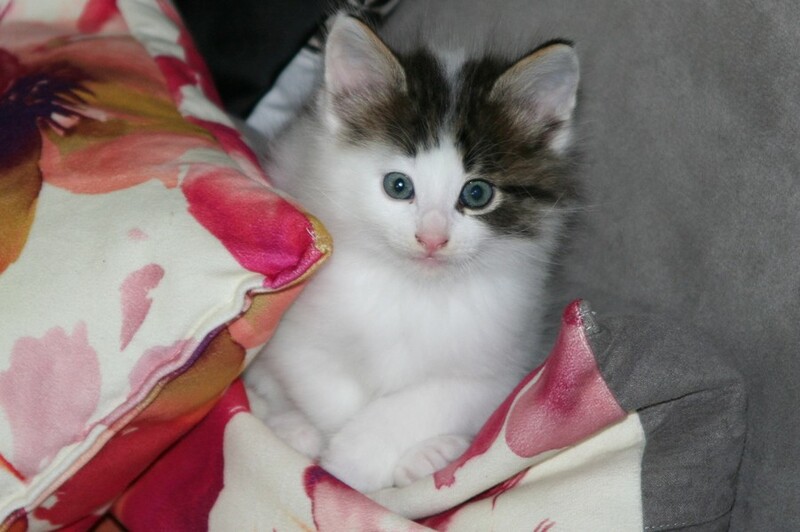 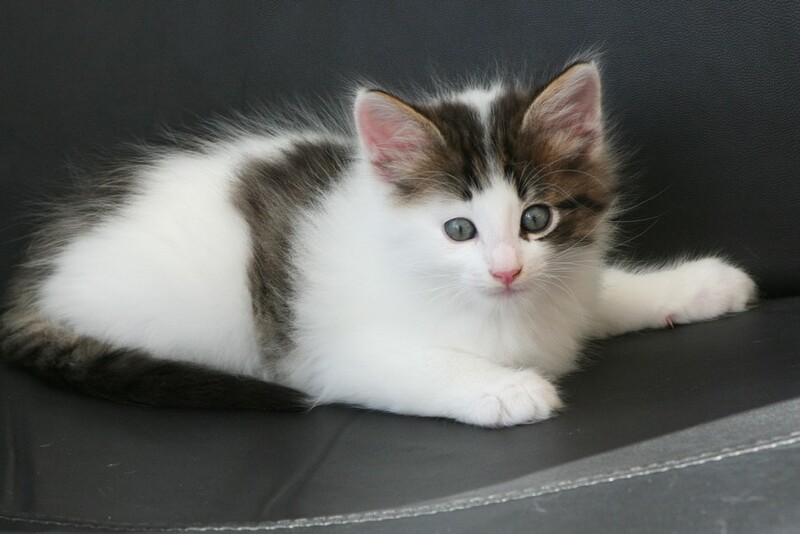 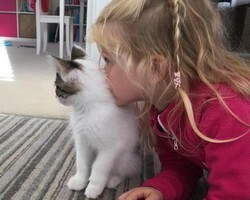 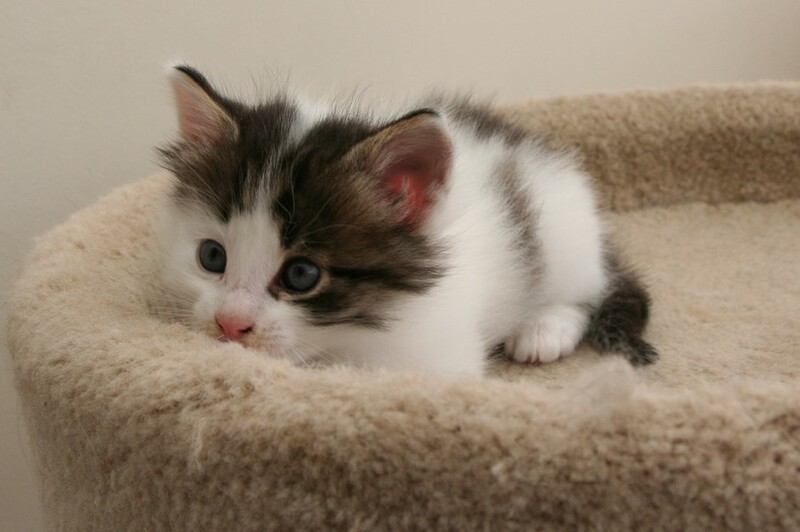 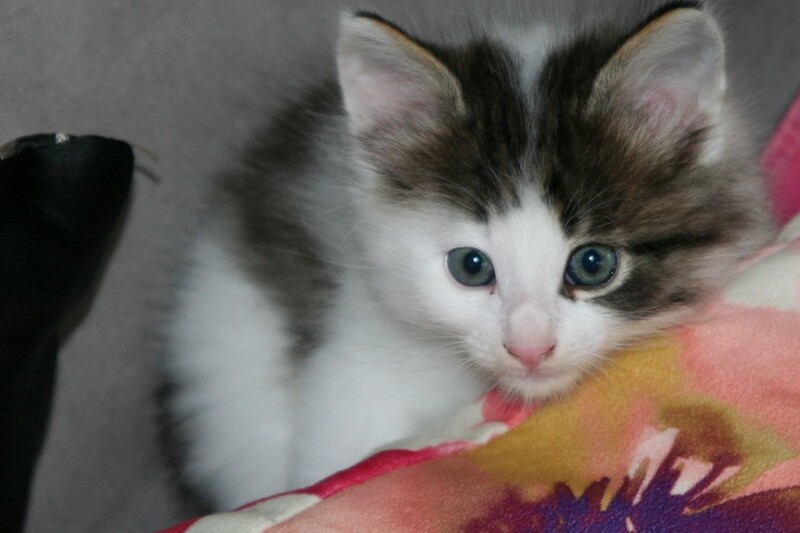 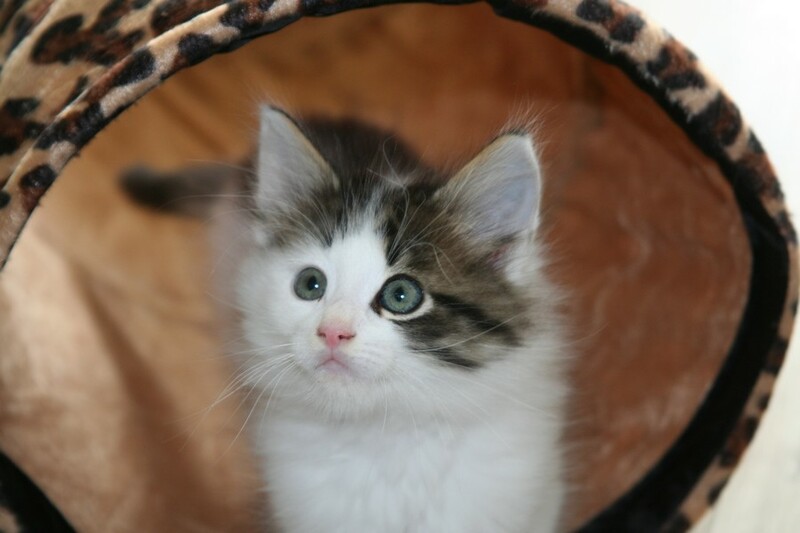 He is a lovely, playful, adventurous kitten with a sparkling white coat, blotched with tabby markings and has a real 'patches' face pattern. 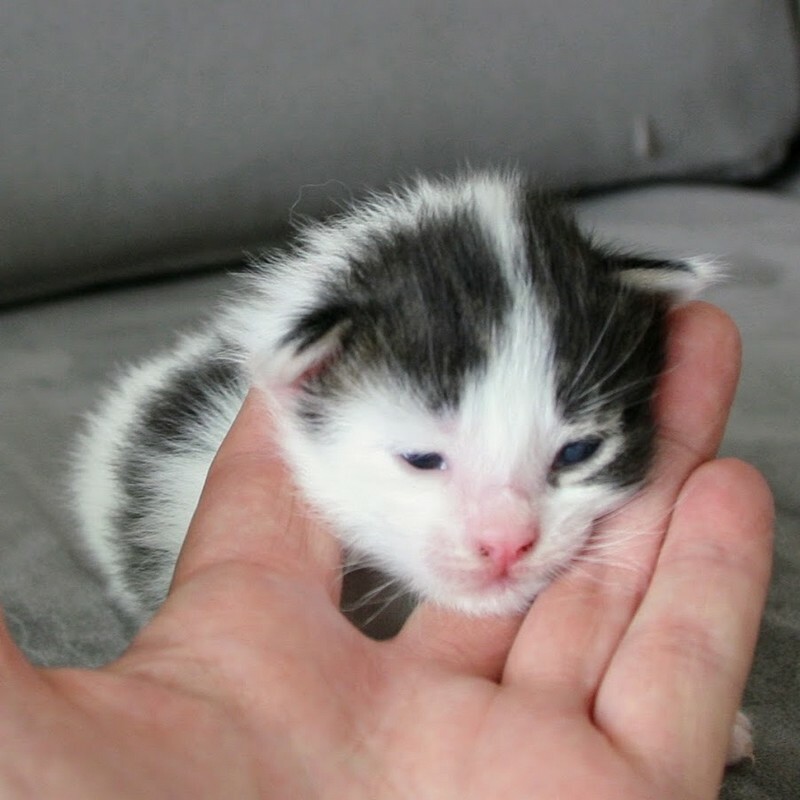 The smallest and probably last born kitten. 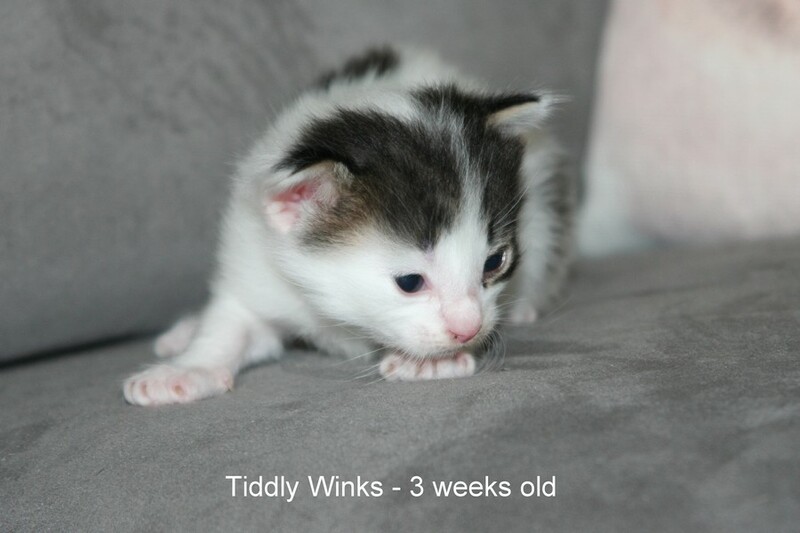 He is fast making up for it now and putting on lots of weight. 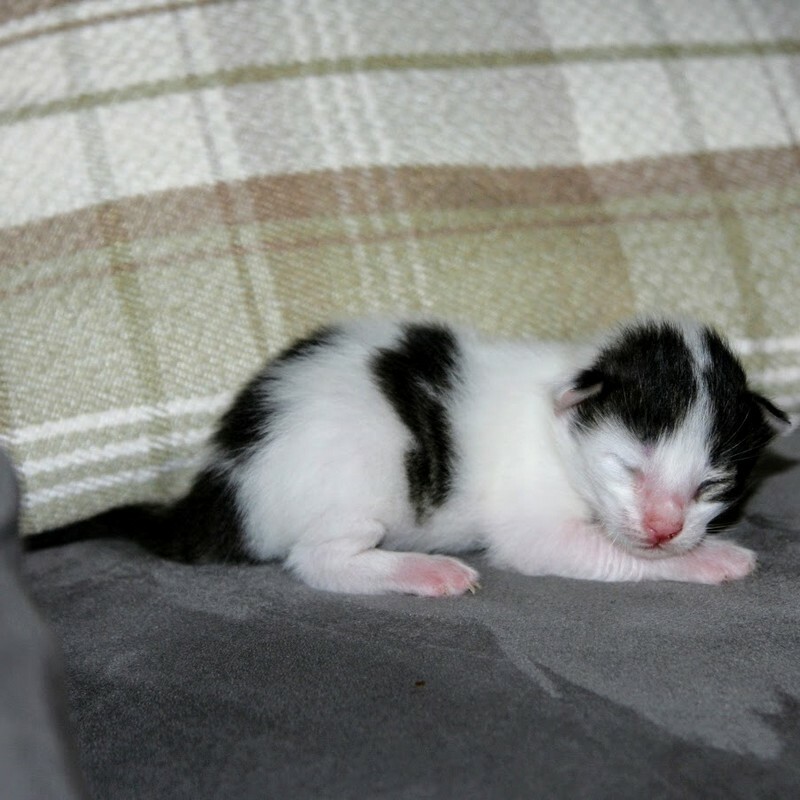 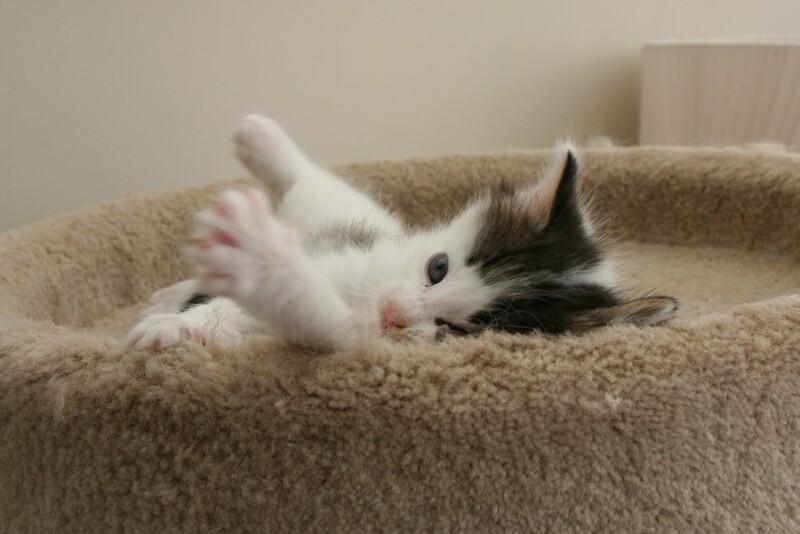 I originally thought he was black and white when he was born, however he has developed several patches of tabby. 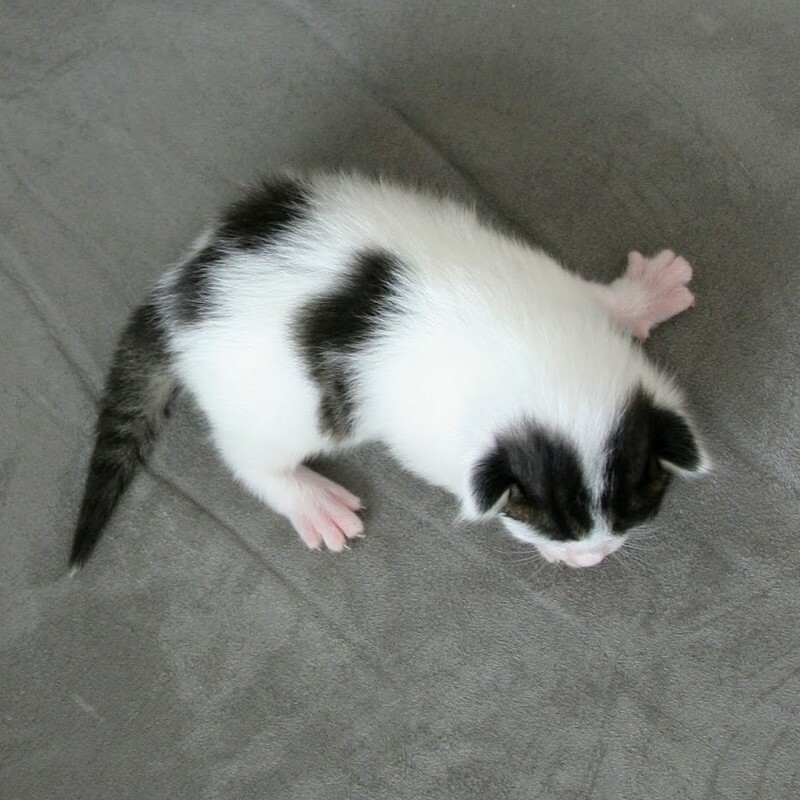 Predominently white with dark patches on his face, body and tail, which finishes with a white end.